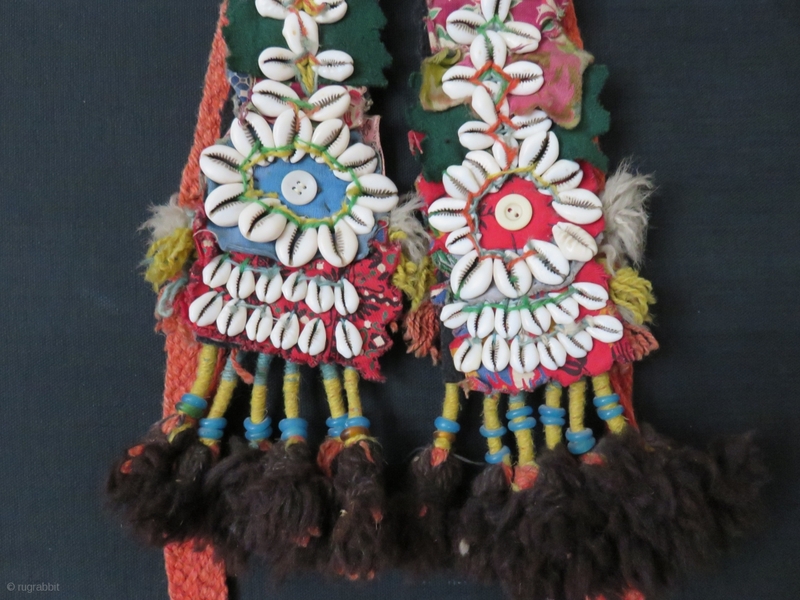 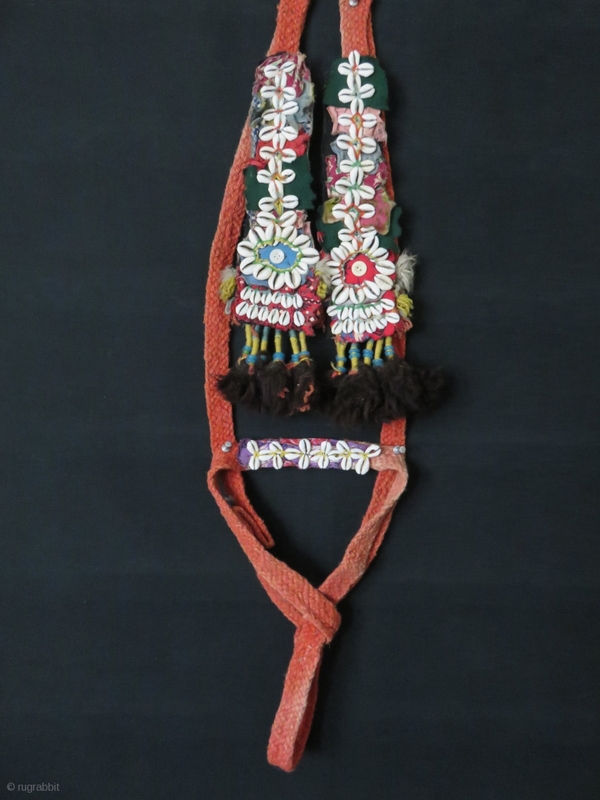 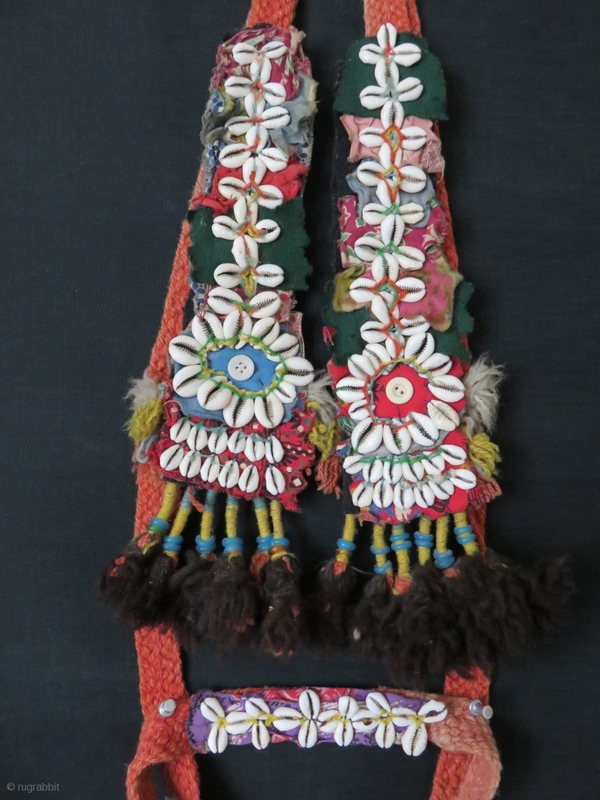 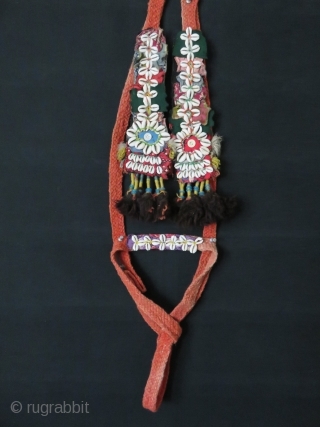 Anatolian Turkmen Pack animal band from Taurus mountains, hand braided and natural dyed strap decorated with cowry shells, ivory buttons, glass beads, wool fabrics and wool tassels on both ends. Circa 1900-1920s. 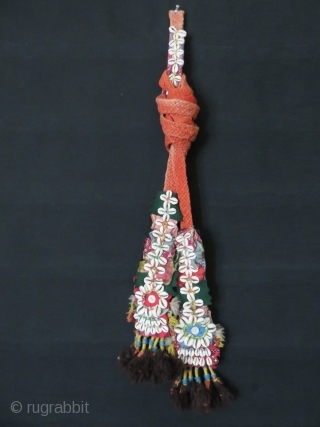 Size: 138" long. 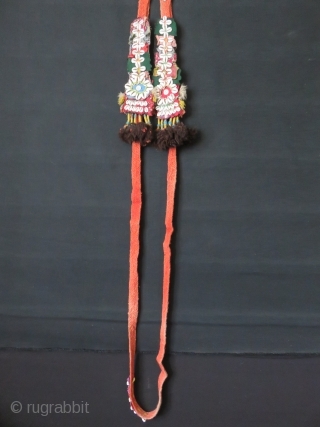 Each end decoration: 14" by 4"